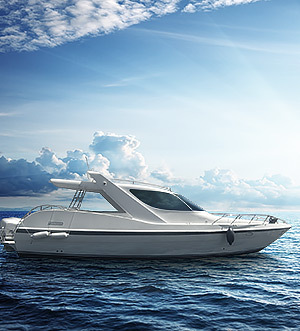 WHAT ARE THE PROS OF THE PURCHASE OF THE YACHTS FROM THAI-CHARTERS? In this section of the website you can buy a yacht in Thailand. Motor yachts, sailing yachts, speedboats, fishing boats, motor or sailing catamarans appear here in process of emergence of offers. All the yachts are for sale in Thailand on the island of Phuket. Purchase of a yacht in Thailand is not only the acquisition of an excellent vehicle, but also a good investment because water transport is in great demand in Phuket. Every day thousands of tourists leave the piers of Phuket to visit the nearest islands. WE WILL SHOW YOU THE LOCATION OF STORES, SERVICE CENTERS, OFFICIAL DEALERS REQUIRED FOR REPAIR AND MAINTENANCE OF A YACHT OR ITS ENGINE. WE WILL INTRODUCE YOU TO THE MANAGERS OF THIS COMPANIES. After the purchase of a yacht you can contact us at any time and we will answer all of your questions. We will show the most beautiful places in the waters of the Andaman Sea. We will find you an experienced captain who will show you all the dangerous shoals. We will calculate the cost of a program specially for you, taking into account the cost of fuel, the team, the transfer of tourists, food costs, fees in national parks, diving, etc. We will brief you on the travel companies, agencies, operators, if you're going to buy a yacht for business. We don't have a big mark-up on the price of the yacht. Quite the opposite, we reduce the initial price, so you don't have to overpay for our work! Even if you won't buy a yacht from us, we will invite you to various marine events anyway. FOR SALE ARE INDICATED BELOW.